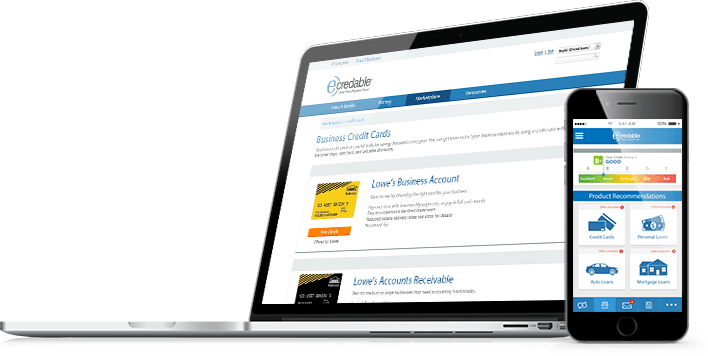 eCredable makes building business credit as easy as paying your bills. Link your business accounts – we’ll do the rest! 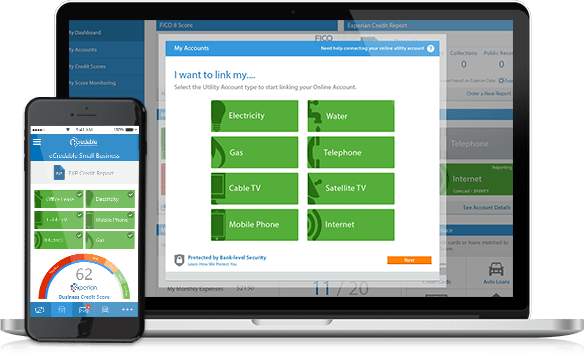 eCredable securely downloads up to 24 months of payment history directly from your service provider’s website. We automatically report your business account payments to Experian monthly to help you build your Experian Business Credit Score. Build your Experian Business Credit Score right away! 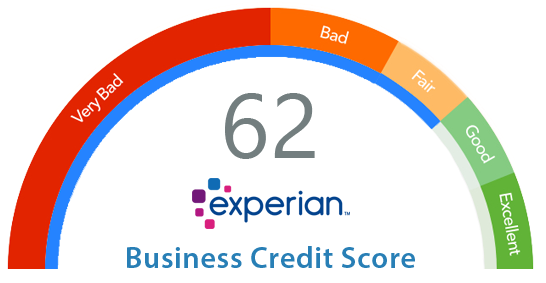 If you don’t have a business credit history, you could see the impact on your new Experian Business Credit Score within a few days after we start reporting. If you already have business credit, get your current Experian Business Credit Report and Credit Score to see where you currently stand. After we report your business phone, internet, utility payments to Experian, you can check to see the impact this may have had on your Experian Business Credit Score. Real impact – real buying power. A better Experian Business Credit Score may lead to better financial terms on business credit cards or loans from Banks, Credit Card Issuers and Lenders. Start building your business credit today! Third Party offers appearing on eCredable.com are presented without warranty or guarantee for quality, service, savings, earnings, or terms and/or conditions; and do not represent all offers or companies that may be available to you. It is important for you to review and understand the offer(s) you select, as you are solely responsible for evaluating the terms and conditions, validity, and potential savings of any offer. eCredable.com assumes no responsibility for products supplied by, services rendered by, or arrangements made with, any third party. eCredable.com, LLC., cannot guarantee your approval with any credit offer based upon the information contained in your AMP Credit Report®; or your success in obtaining any third party offer. eCredable.com, LLC., strongly supports transparency on all areas of our website. eCredable.com may be compensated for your purchase of products or services offered on our website that are not created, owned, licensed, or otherwise materially controlled by eCredable.com, LLC.